University of Brighton has awarded a sports scholarship to Millie Hemsley who is studying Pharmacy MPharm here. 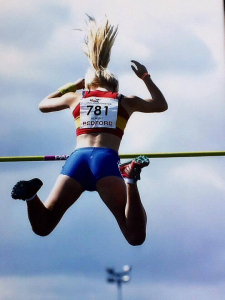 “Being a sportswoman has personally helped me with keeping a healthy balance in my life between sport and education, (as it stops me trying to revise 24/7)! I am really enjoying my time at the University of Brighton so far and I am sure this will continue across the 4 years I am here. 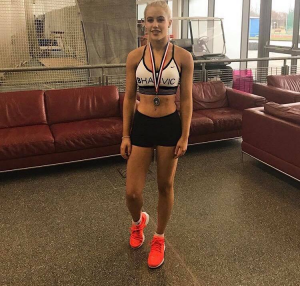 I applied for the sports scholarship and was lucky to be awarded this for my sport (pole vault ) which I have participated in for 4 years at Lewes athletics club. During these 4 years I have achieved the necessary heights and been chosen to represent the county at the national English Schools Championships 4 years in a row against Ireland,Scotland and Wales. We wish Millie the very best!!! The University of Brighton provide scholarships that recognise and reward academic and sporting merit. Find out more about our scholarships on our website. This entry was posted in News, Student success, Uncategorized.